What Jobs Can I Get With a Bachelor's Degree in Political Science? A bachelor's degree in political science develops skills that put you in good stead for many different roles in business, government, law enforcement, politics and nonprofit organizations. The degree program typically includes studies in politics, international relations, political theory, English composition, critical thinking and research methods. Instead of training you for a specific career like some majors, a bachelor's in political science provides a broader preparation for the workforce. Oral and written communication abilities, computer knowledge, problem-solving skills and leadership developed through a political science major make you well-suited to careers in business. For example, you can become a business administrator, sales manager or marketer. Your skills in analysis and your interpersonal abilities prepare you for work as an events planner, executive search consultant or strategic planning consultant. Political science knowledge and writing skills are especially useful in careers such as political correspondent or editor. As a political science grad, your research and problem-solving skills qualify you for jobs as a legal investigator or probation officer. In addition to your bachelor's in poli-sci, you'll need to get a Doctor of Law degree to become a lawyer. The bachelor's degree alone, however, qualifies you to work as a paralegal or human rights advocate. Your knowledge of political science and international relations and your analytical skills prepare you for work as a foreign service officer, immigration officer or intelligence officer. At the local level, you can put your analytical and people skills to use as a city planner or housing administrator. Expertise in the theory and practice of politics, and communication skills prepare a political science grad for positions such as lobbyist or campaign worker. Other possible roles in politics include political consultant, political organizer and congressional researcher. 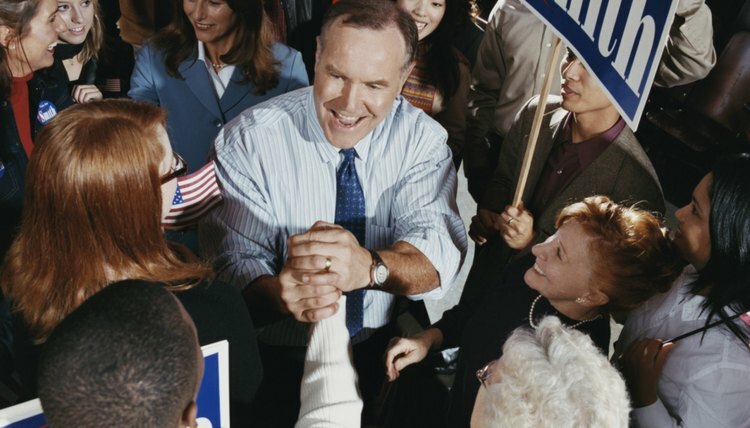 Because you'll understand the workings of politics and government, a political science degree can be a good basis to run for office at the local, state or national level. Along with a teacher certification, your bachelor's in poli-sci qualifies you to work as a middle or high school government or political science teacher. By adding a master's or Ph.D. in political science to your bachelor's degree in the major, you can become a community college or university teacher. Other career paths take advantage of your skills in research and critical thinking -- for example, archivist or researcher for a museum or historical society. Your research and problem-solving skills also qualify you to work as a research assistant for a think tank or nonprofit organization, such as a consumer advocacy group. Michigan State University: What Can I Do With a Major in Political Science? Learn.org: What Will I Learn in a Political Science Degree Program? Farnen, Karen. "What Jobs Can I Get With a Bachelor's Degree in Political Science?" , https://careertrend.com/list-5966762-jobs-bachelor-s-degree-political-science-.html. 05 July 2017.